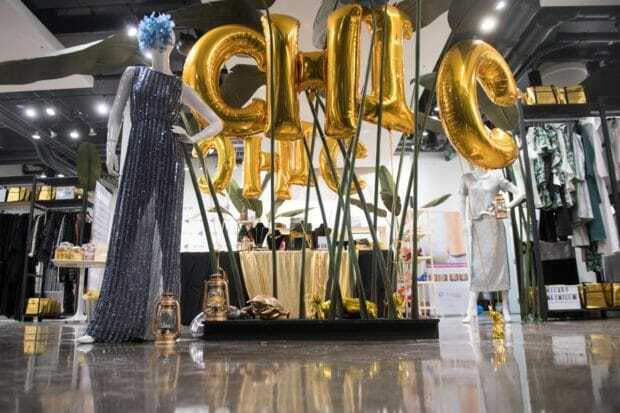 Every September, just days before the Toronto International Film Festival kicks off, the city’s top PR pros and brand experts celebrate the red carpet season by hosting pop-up celebrity gifting lounges. The city’s top journalists, bloggers and tastemakers are invited to preview what buzz-worthy brands will be gifted to visiting A-listers in town for TIFF. This year we scoured TIFF’s most coveted swag lounges to see what new products are being launched in the market just in time for the holiday shopping season. From serious snacks to aromatic bath beauties, here are ten holiday gift ideas inspired by this years TIFF gifting lounges. Canada’s exclusive fashion showroom, Stylist Box put on their sixth annual celebrity styling and gifting lounge, The Stylist Suite at Yorkville Village. During the festival it’s a unique space where celebrities can book an appointment to be styled by an impressive roster of Canadian talent whose work range from ball gowns to day wear. Shiny Apple Cider: produced by Niagara on the Lake’s Small Talk Vineyard, this refreshing cider is prepared with 9 different varieties of red apples from across Ontario and a splash of Pinot Noir. Healthy Crunch Coconut Chips: these addictive coconut snacks are vegan, gluten-free and nut-free. The brand offers a slew of flavours but our fave is that bag of Monkey Business, a playful blend of chocolate, coconut, and banana. For its second annual Suite on the Sixth, Rock-it Promotions transformed their downtown office into an intimate swag experience featuring a live DJ and charitable celeb autograph station in support of Leave Out Violence (LOVE). 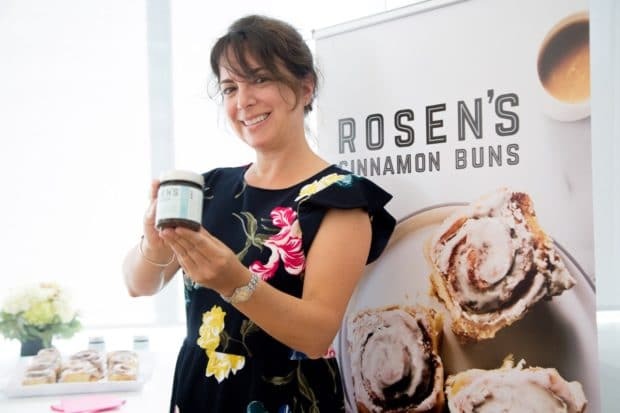 Rosen’s Cinnamon Buns: award winning food and travel writer Amy Rosen served up her College Street cafe’s iconic cinny buns to hungry guests while showing off her newest confection invention: a jar of cinnamon bun spread. The perfect stocking stuffer for the toast lovers in your life. The Perth Soap Co: those who have a penchant for luxurious suds will find happiness in the local bath brands cleansing bars, body lotions and liquid soaps, which are beautifully wrapped as scented Moroccan Spice, Milk & Honey and Sparkling Champagne. Casper: provided each guest with “The Pillow,” the brands unique pillow-in-pillow designed to satisfy all sleepers. It’s the perfect edition for your bedroom and we love it most because you can clean it easily by plopping it into your washing machine. Celebrating it’s 10th year at TIFF, Bask-It-Style by GLO Communications set up shop in the Thompson Hotel’s posh Penthouse Suite. Bask-It-Style offers a twist on traditional gifting, giving busy stars at the Toronto International Film Festival a swag bag full of trendy items, which greet them at their hotel upon arrival. DK Eyewitness Travel: in October our fave global guidebook company relaunched and redesigned ten of its top destination guides including handy resources to bustling city’s like Berlin, New York and Rome. The freshly published guides are a design-lovers dream, featuring gorgeous eye-popping photos, updated maps, and helpful infographics. DK Eyewitness Travel’s new guides are the perfect gift for friends or family who have a passion for their passport. 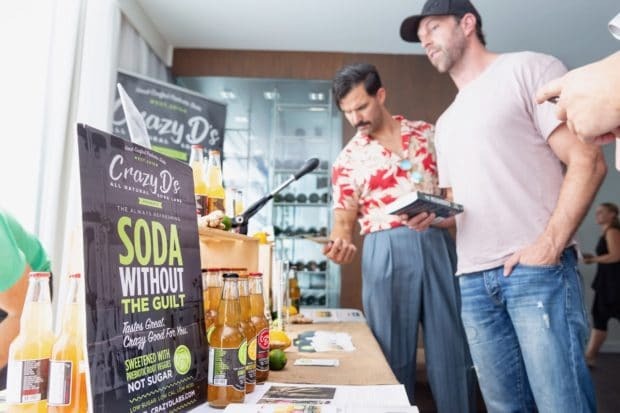 Crazy D’s Prebiotic Soda Labs: is the first soda sweetened with prebiotic root vegetables. The thirst-quenching pop is organic, vegan, and has no added sugar, caffeine, preservatives, colours or flavours. Our fave is the Ginga’ Kick with Twisted Citrus coming in as a close second place contender. Perfect for the health nut who likes fizz on your holiday hit list. 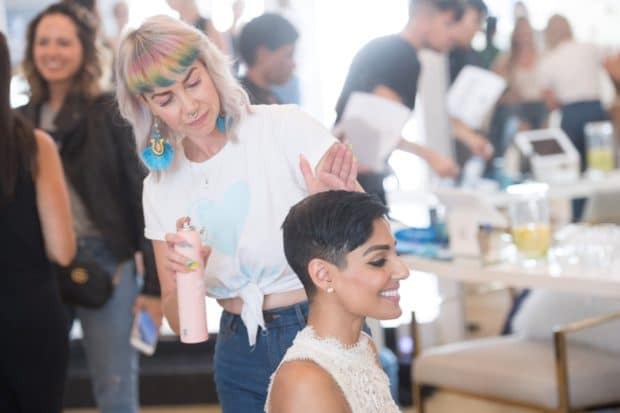 Journalists covering TIFF love EGPR’s Essentials Lounge, which celebrated its 9th annual pop up this year. The one-day event offers an experience designed exclusively for media, an alternative to the festivals celeb-focused swag experiences. Design.ME: this Montreal-based haircare brand offers a rainbow of multi-coloured salon-savvy products to satisfy all your primping needs. Our faves are the Puff.ME Shampoo + Conditioner and Hold.ME Hairspray. Keds: the iconic American shoe brand showcased top styles from their FW18 collection featuring a slew of slip on sneakers adorned with fabulous florals. Tuckshop Trading Co: this local fashion brand gifted a slew of comfy crewneck sweaters with our fave featuring the city’s nocturnal mascot, a raucous racoon.